Last month UK Finance together with Financial Fraud Action UK published 2017 annual fraud update, highlighting different types of fraud along with some pretty incredible statistics (total number of incidents and value) indicating the extent of the losses. The good news is that in 2017 unauthorised fraud losses from payment cards, remote banking and cheques fell by 5%. The bad news is that the scope and types of fraud are increasing. Please refer to the shared links for full report and details, in this post i summarise the 11 types of fraud that are described. Keep in mind this is a UK based report. Card Not Present (CNP) fraud or remote purchase fraud is where the bad guy uses a stolen credit, debit or payment card to buy something over the internet, phone or through mail order. UK finance data shows that remote purchase fraud is initiated mainly from card details stolen from data hacks, through phishing emails and scam text messages. This fraud is where a credit, debit or payment card is stolen while in transit – so, after it has been sent by the card company but before it reaches its intended recipient. This is prominent in buildings where there are multiple residents (i.e. flats) where the post may not be securely stored. As the name suggests, a fake credit, debit or payment card is created by getting the banking details from the magnetic strip of a genuine card. Hackers will use a device to steal details from a valid card at an ATM or unattended payment terminal (car park, perhaps) and copy the details across to a fake magnetic card, which is often used in countries aboard where chip and PIN has not been introduced. Somewhat related to the above, this is where the fraudster has access to the genuine debit, credit or payment card and PIN. The card is extracted as indicated above by distracting potential victims at ATMs/during purchases, using card entrapment at ATMs/during purchases at shops and bars and using the stolen card/PIN to make fraudulent cash withdrawals at ATMs. This is where the criminal is able to get access to the victims online bank account and make fraudulent / unauthorised transfers from it. Typically social engineering tricks are used to dupe unsuspecting victims into sharing their online banking security details through scam phone calls, text messages and emails. The acquired information is subsequently used to access the victims online bank account and make unauthorised payments from it. Similar to the above. 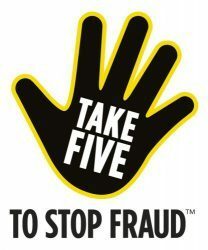 With telephone banking fraud the criminal gets access to the victims phone banking account and makes unauthorised payment transfers. Mobile banking fraud is where fraudulent or unauthorised payments are made through mobile banking services accessed via a banking app that has been downloaded to a mobile device. It does not refer to frauds that happened via mobile web browser banking and browser based banking apps. CEO Fraud or Business Email Compromise EXPLAINED!